A university in France must take the credit for the first ever study to examine the long-term effects of eating GMOs. The Monsanto Corn accompanied by trace elements of Monsanto’s chemical roundup produces hideous cancers in a large percentage of rats. The results, commentary and explanation are available for all who care to read them and linked further on in this post. It is ironic but not surprising that the study was conducted in France and not the USA as you might expect. After all the USA is the powerhouse home of biotechnology and genetic modification of food. 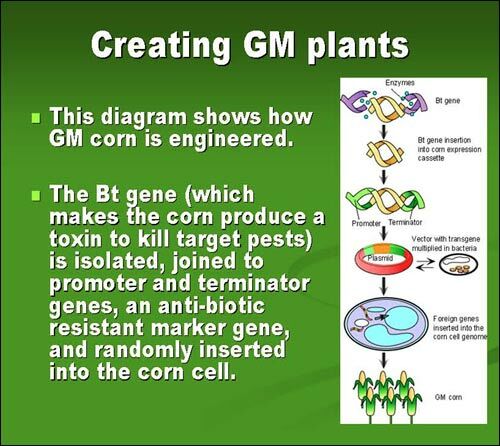 But it seems they are also the home of the GMO industry bribing politicians, rigging research data, corrupting congress through lobby groups and engaging in criminal acts all for the purpose of foisting often deadly and poisonous foods on the public so they can make profit. University of Caen’s study was lead by Gilles-Eric Seralini and results published in the Food and Chemical Toxicology Journal. Monsanto now stands convicted by the jury of scientific fact as well as of public opinion. It is little wonder that Monsanto have been voted the most hated corporation in the world for 11 straight years. Concerned citizens of the world must now express outrage and astonishment that the type of research done by the Seralini team in France was not in point of fact conducted within the USA. This should have been enforced by the USA government to whom ultimate responsibility must fall. Instead what we have is footage of George Bush Snr in a Mopnsanto lab (in the documentary Food Inc) handing out his business card and encouraging them to call him if they need help getting anything passed. We’re in the de-reg business was his infamous comment. It is utterly reprehensible and disgraceful, an infamy that will be his legacy. It is after all the sacred duty of governments . . .to govern. Instead of good government and good governance what has been demonstrated in the USA is that the tentacles of fascism now threatens the health, welfare and safety of its peoples because of cowboy GM activity. And we haven’t even got started here with the cancer industry or the banking sector. This is not cliche, rhetoric or hysteria. Au contraire, it is simply to state an unpalatable but obvious truth.